Following a successful career as a consultant and project manager in the IT industry, Ivan decided to turn his passion for real estate into a full-time career. He has gone on to become a dominant agent in the Western Suburbs and has won industry acclaim regularly featuring in the REIWA top sales agents awards. Now, as a Director and Licensee of Benadé Helman, Ivan is able to fully translate his passion and energy into delivering the best outcome for all of his clients. Ivan believes innovation and education are fundamental to success. He constantly strives to stay at the cutting edge of technology & new developments in the industry through training, professional coaching and self-education. By applying the most appropriate sale strategy to each property and creating an innovative marketing campaign to ensure maximum exposure and buyer competition Ivan has achieved some of the lowest average days on market in the industry. Ivan lives locally and his vibrant approach to real estate is mirrored in his personal life where he keeps fit and active, making the most of Perth’s wonderful outdoor lifestyle. For your next real estate transaction, you need an agent with genuine passion, professionalism and above all a 100% commitment to providing every client with the Ultimate Real Estate Experience. An Extraordinary River Precinct Lifestyle! Ideal First Home or Downsize Delight! Ivan showed an unusually passionate approach towards the sale of our property. He organised and ran an excellent campaign that resulted in the sale of our home within two weeks in a down market. “Ivan and his team provided a very professional service that made the sale of my property quick and hassle free. The overall sales strategy developed by Ivan worked perfectly and I was very happy with the price he achieved. I was also impressed with the time and effort he put in to follow up potential buyers and keep me informed of everything. "Ivan was amazing he did everything he said he was going to at our first meeting. The team behind Ivan, Sinead and Greg were also fantastic they always took the time to explain how to do things and why they needed to be Completed. Ivan kept me updated throughout the whole campaign and was always honest where things were at. Ivan was able to sell my house in less than 3 weeks at the top end of the valuations I had received. I would highly recommend Ivan to any of my family, friends or clients looking to sell. selling my house was such a huge decision and I'm so glad I chose Ivan as my agent, the extra $20,000-25,000 he got by selling at the top end of my valuations is life changing and has given me a great head start for my future." "I would like to thank you and your team for all the work you have done to sell my flat. It was such a refreshing experience. Nothing was too much trouble for your team. Everything was done for me so that it was as seamless as it possibly could be. I was always clear as to what was going on and what to expect at all stages. Thanks again for all of your work to make the sale happen. Best of luck to you and your team in the future. I will be sure to refer others in your direction." "Just a quick note to say thank you very much for being so lovely to work with. From the moment I met Greg at an opening in Subi he told me about this property and said I would love it and he couldn't have been more right.Thanks again for making the process so easy, stressfree and for my beautiful settlement gift. I will recommend your company to friends and I will, in the future, keep you mind for when I sell." "Could not recommend a better Real Estate Agency. All staff were so accommodating and helpful, were willing to go above and beyond. The whole process was so seamless and easy! We cannot thank you enough. We will definitely be recommending you to all family and friends and personally using your services in the future. Thank you"
"I wouldn’t choose to sell with anyone else. I’ve used Ivan as my agent a few times now. He always delivers an impeccable service with great results. I would highly recommend him to everyone"
"Thanks so much for the professional job under taken to sell our property. Everything was well organised, you delivered everything promised which included excellent marketing, stylist, photography, reports (not that many was needed) and support provided all the way until final settlement with some neat touches seen throughout. This also included pointing us to an excellent settlement agent. “Ivan, you are a great agent – professional yet understanding and caring, quietly confident without being boastful – builds quiet confidence in clients! You made everything easy and hassle free, and we won’t hesitate to choose you above any other agent - Congratulations to you! Thanks." "Ivan is amazingly professional and tenacious with potential buyers. It goes without saying that I would refer Ivan to anyone wanting to sell in the area." "Ivan is very good at communication and does just what he says he is going to do, no messing about. I am sure there are not many as good as him." "Ivan was exceptional in selling our house, he was thorough and understood the market & the strategy to sell our property in a timely manner. Complete professional and highly recommended". 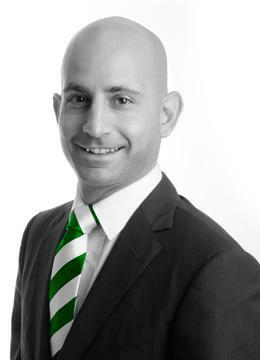 "I would recommend Ivan, without hesitation, to anyone considering selling property. He is highly professional; knows the market well; is always available; provides honest and timely feedback and updates; and will get a great result!"